Evaluating the myriad options for small and midsize business that want to upgrade their storage architecture, including on-premise, cloud storage, hybrid-cloud architectures and managed service providers. In our last two columns, we’ve focused our discussion on industry trends that are impacting storage architectures, as well as a few “broad stroke” architectures that may help businesses address the issues those trends created. For this month’s column (as well as more than a few future ones), I’d like to instead focus on solution strategies for improving and modernizing the storage architectures for today’s businesses. Let’s start with looking at small and midsize businesses (SMBs). By our definition we’re talking about firms with less than 1,000 employees. While that’s hardly FORTUNE 500 territory, firms with hundreds of employees still have a deep need for enterprise-class file storage capabilities. Think design firms, software developers, architectural firms, creative businesses, etc. – all of these SMBs rely on their data and file storage as the lifeblood of their business. 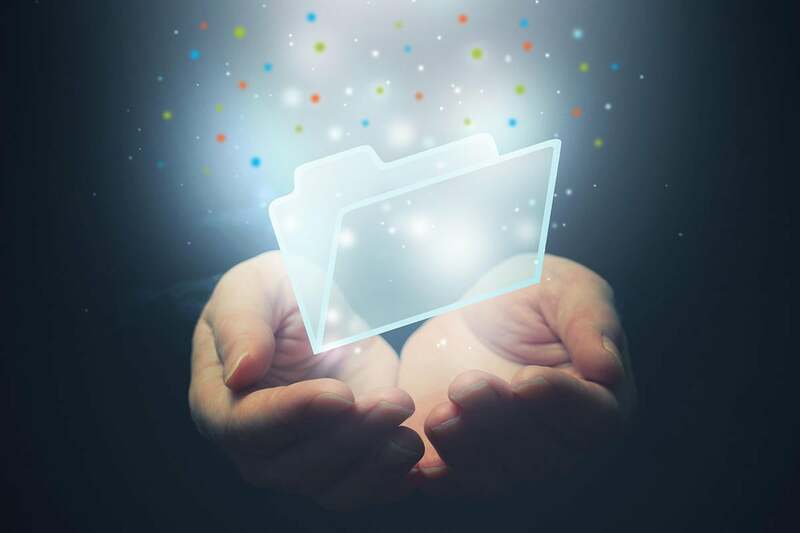 The key drivers for SMBs that are looking to modernize their file storage are many times identical to the drivers for the rest of IT. In the cloud era, these firms want to take advantage of the clear business benefits in adopting the scalability and reliability of the cloud. SMBs also are almost always multi-office once you get above 10 employees, and these companies also commonly use freelancers or shared workspaces. As a result, the reasons for moving to the cloud are quite clear; SMBs need to maximize ROI by leveraging cloud solutions rather than buying, managing, and maintaining on-premise infrastructure. Why would you do this when Amazon, Azure and other solutions beckon? When all of these benefits are considered, one wonders why all SMBs have not already shifted to a 100 percent cloud model. I see two reasons: performance and control. The performance requirements are driven by the need to deal with large files and a large and growing volume of files. Media, video, design, genomics, medical … all of these file types tend to be large and complex. As a result, the performance hit a business will take if and when these are moved to the cloud can be significant. The result is that there is still a demand for some on-premise device that can serve as a means to alleviate the performance of the cloud. As we noted in this column, the ideal architecture often works out to being a hybrid-cloud solution. Recently, the market has seen a rise of hybrid-cloud storage solutions with global file systems that combine cloud capabilities with local caching and support for object storage to deliver globally accessible file systems. They provide access to files from the local cache while maintaining the single namespace across multiple sites and data in the cloud object storage. Enterprises are trending this way but for smaller businesses this is still a new concept. Many vendors are taking this approach and all are aiming at the enterprise market. I believe what is good for the large enterprise is also beneficial to SMBs as long as similar technology can be delivered cost-effectively and in an easy-to-use manner. So, as an SMB, when considering modernizing storage to include cloud, think Shift vs. Extend. Do you need to shift all storage infrastructure to cloud or do you want to extend the storage use model to cloud? If you are not comfortable with the 100 percent shift such as using Box or Dropbox, then hybrid is the alternative. It brings the benefit of cloud while keeping the advantages of on-prem use model: performance and control. Other options that SMBs should consider also include turning to managed service providers (MSPs) to deliver the kind of cloud storage and global file system capabilities they need. Particularly for SMBs with more than one location (which is the vast majority of businesses over 10 people), a managed file storage management solution can give SMBs the same functionality without having to use internal resources to manage the storage architecture. Unsurprisingly, this architecture just happens to be ideal for SMBs that want to deliver these kinds of services as well. However, while this solution can solve the performance portion of the on-prem model, it does bring up questions about control. And control is something the on-premise model delivers in spades. Everything is there for you to manage. However, that control comes with complexity and overhead as well. Let’s look at the amount of devices you need control. In addition to the set up and management of network-attached storage (NAS) devices, you’ll need redundant drives, and usually some kind of 3-2-1 backup strategies (which also includes a cloud service of some kind). That’s a lot of devices. Now if you have multiple sites (most SMBs with more than 10 employees do), you probably need to add in VPN and replication software, which is not cheap. Remote access to these files can also be a challenge. By comparison, taking a cloud approach most often will provide you with a single “pane of glass” for management of all of the users that need to connect to your storage. All sites and users are part of a single system and managed through a single interface. That approach also means you don’t need VPN or replication software, as the entire storage architecture is managed through the cloud in a hub and spoke model. Alternatively if you use a cloud storage service from an MSPs, they manage most of this storage directly from their network operations center (NOC). Overall, when taken together – on-premise, cloud, hybrid-cloud, MSP – it seems that the hybrid-cloud approach and/or storage services from an MSP seem to give the best blend of functionality, control and cost-effectiveness.